Casement windows are a wide choice for homeowners in Iron Mountain, Michigan, and the surrounding areas, who are looking for a low-maintenance vinyl product that will help protect against water damage. At The Window Store Home Improvement Center, we offer a beautiful casement style window from Andersen Windows. This impressive window line is available in a wide variety of colors and wood styles to perfectly suit your needs. The Window Store has proudly served the area since 1992 and in that time we have become well-regarded as one of the leading full service window dealers in the region. At The Window Store, we proudly stand by all of the work our installers perform by offering an outstanding two-year labor warranty on all of the projects we complete. This guarantee is paired with the already outstanding manufacturer warranties that are available on the individual products you select for your home. 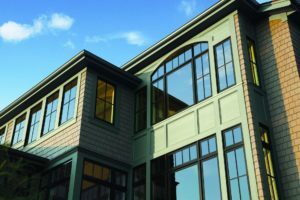 To hear more about the casement windows and other replacement windows we offer to homeowners in Iron Mountain, MI, and the surrounding areas, contact The Window Store Home Improvement Center today. One of our highly knowledgeable team members will happily answer any questions you may have about our products and services. We are stating all the positive aspects in shopping at The Window Store. The sales Rep was informative & helpful without being pushy and in my opinion one of the best representatives we have ever dealt with.